This is a 12 inch dial click with a painted Roman dial and chain fusee movement, Roman numerals and spade hands. 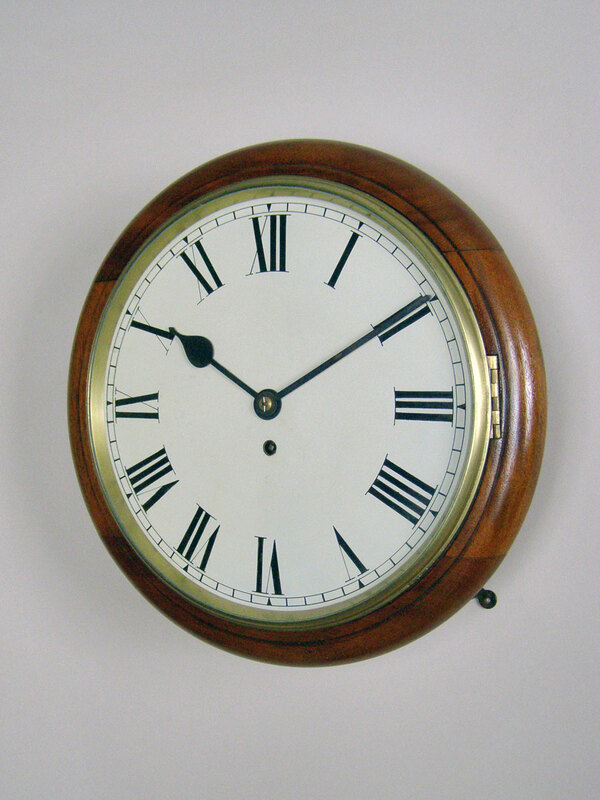 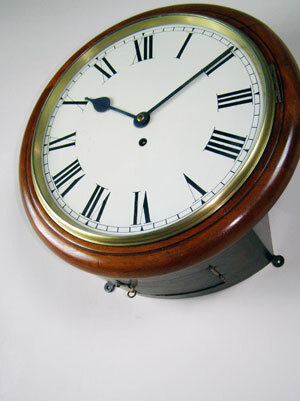 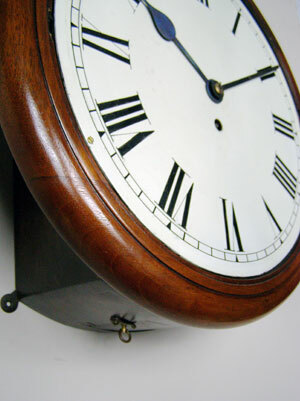 The clock has a heavy cast brass bezel and mahogany case. 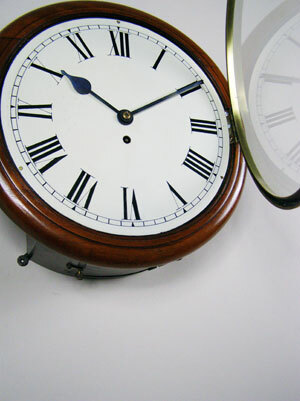 It opens to the side for viewing the works and to the bottom for pendulum adjustment.